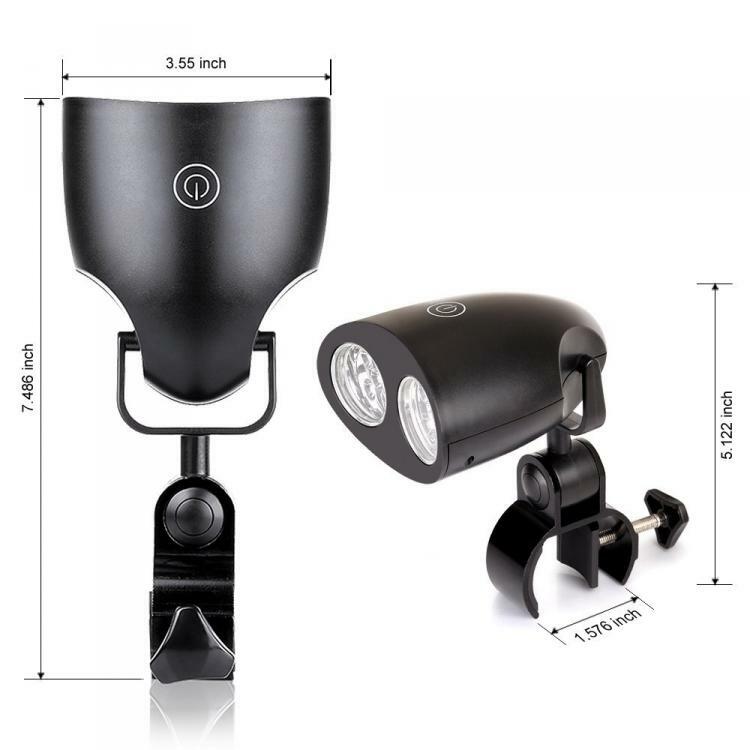 If you're someone who likes to grill some hot wieners for a midnight snack or possibly throughout the winter when it gets dark at like 4pm, this outdoor grilling light might be for you. 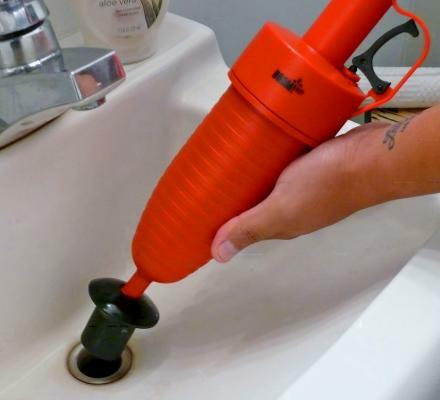 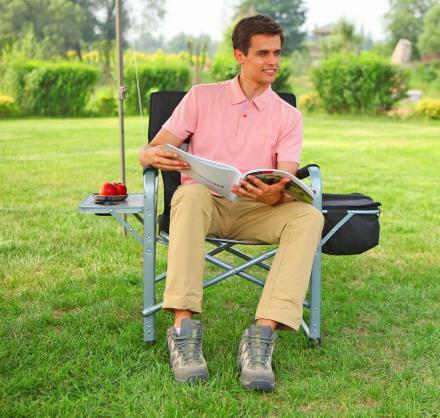 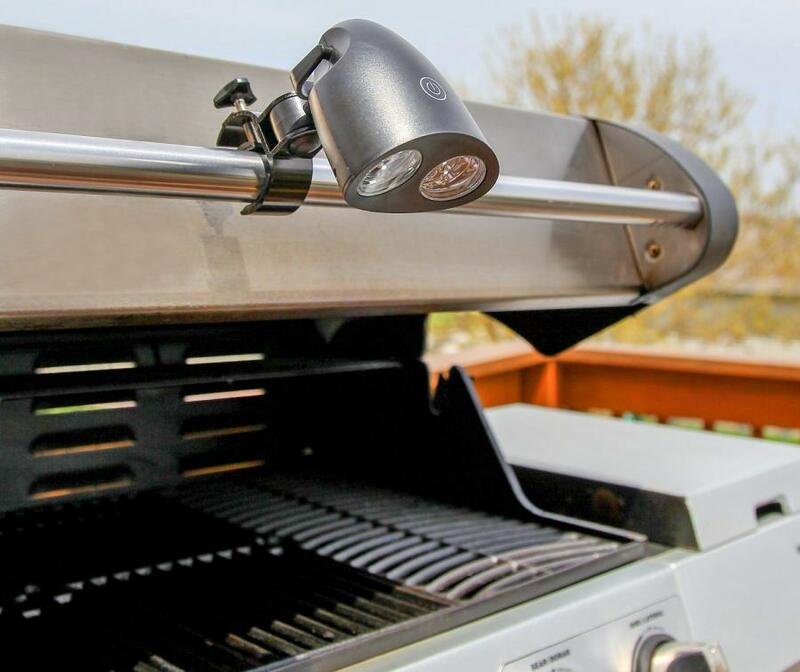 The versatile BBQ light can be attached to almost anything using a clamp that can be fastened around a pole, a handle, or really anywhere that has something to latch onto. 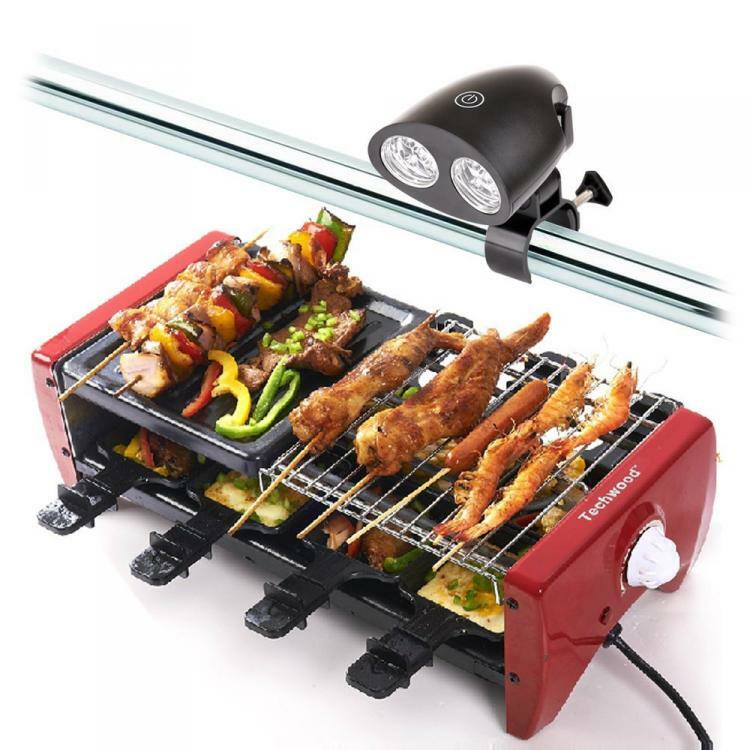 No more worries about over-cooked or under-cooked meat while out cooking in the pitch dark, the grilling light illuminates your cooking area with 10 super-bright LEDs, plus a touch controlled on/off switch located right on the top of the device makes it super easy to turn off when you're done cooking and carrying in a huge plate of burgers. 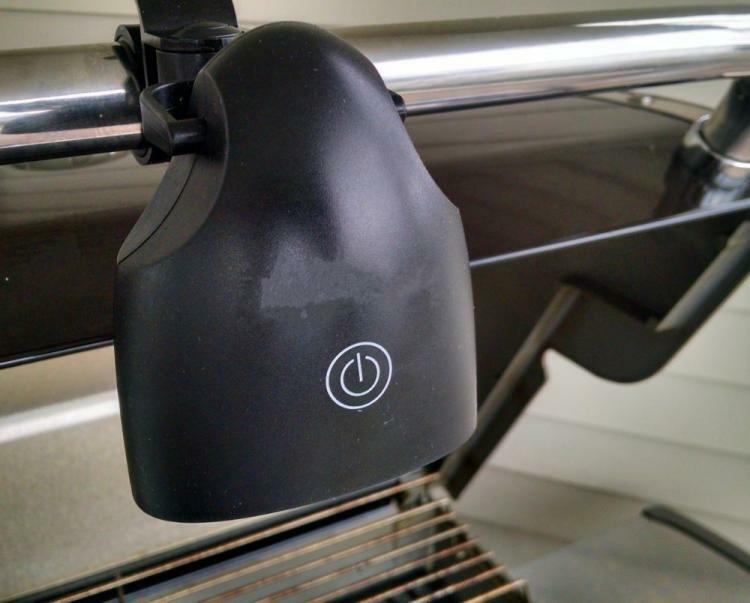 The BBQ grilling light is powered by 3 AA batteries which are not included and will last for up to 20 hours of use until needing to be replaced. 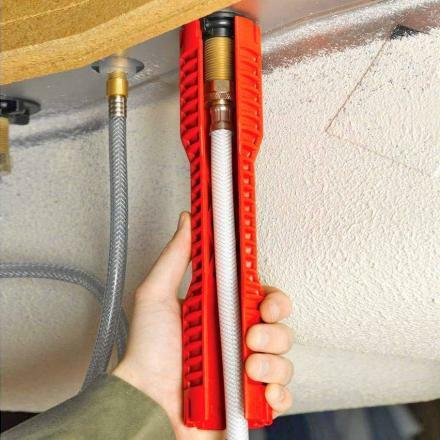 The BBQ light is made from a durable and heat-resistant construction that can take the extreme heat of resting right above the grill without issues. 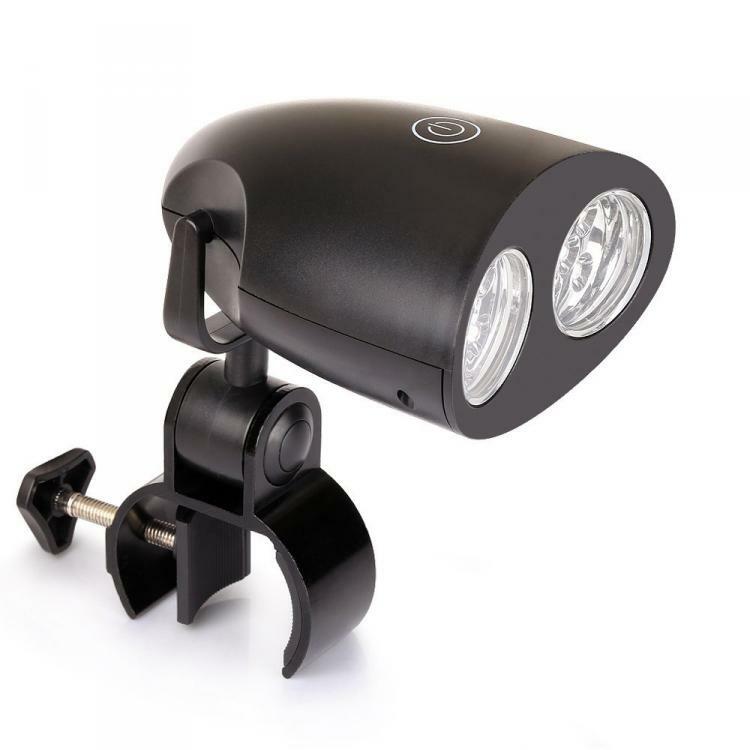 The grilling light also is able to be adjusted for horizontal and vertical movements up to 190 degrees, so pretty much any place that you're able to attach the light, it will be able to shine some light onto the barbecue. 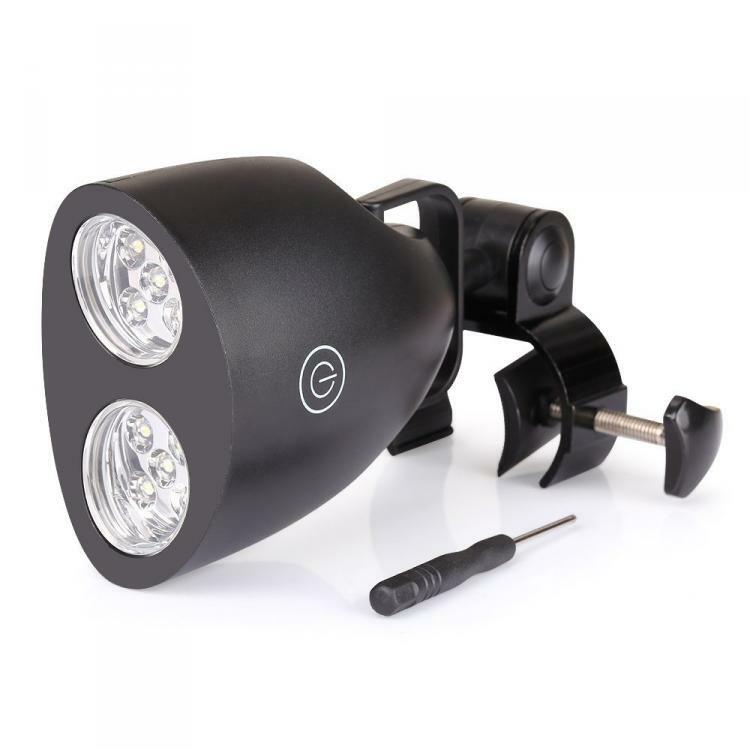 The outdoor grilling light has a luminous flux of 100 lumens, has a total lifespan of 50,000 hours, includes the BBQ light, a small screwdriver for installing the batteries, and 1 set of instructions. 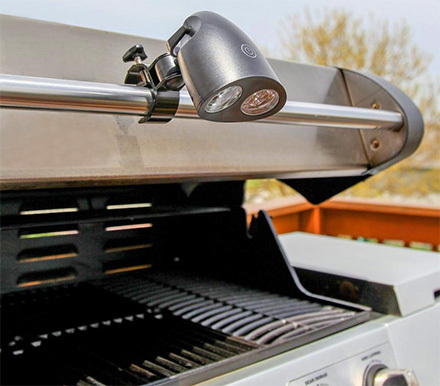 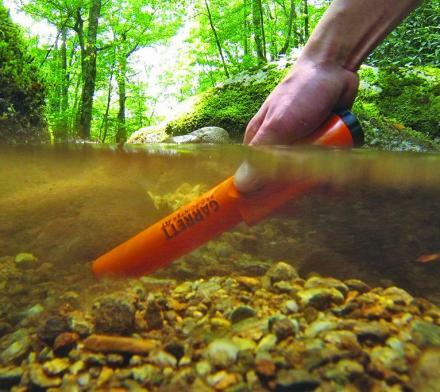 The BBQ light measures 7.4 inches long x 3.5 inches wide x 2.5 inches in height.